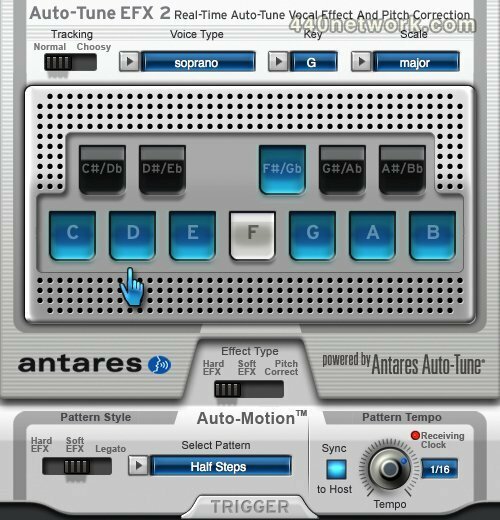 Powered by the same core technology as Antares' professional standard Auto-Tune 7, Auto-Tune EFX 2 is the quickest, easiest-to-use tool for real-time pitch correction and creating the iconic Auto-Tune Vocal Effect. And now, with its new Auto-Motion Vocal Pattern Generation, you can add a variety of intricate musical patterns to your track for an entirely new (and sonically dramatic) vocal effect. Designed to make almost everything automatic, Auto-Tune EFX 2 provides two different flavors of the iconic Auto-Tune Vocal Effect as well as Antares' world-renown real-time pitch correction. Just select your desired effect type, set the key and scale of your track, and Auto-Tune EFX 2 does the rest. 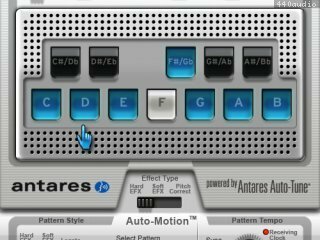 For songs with complex chord progressions or modulations, you can optionally set up custom scales or use your host's automation facility to allow the processing of virtually any vocal line. New in Auto-Tune EFX 2 is Auto-Motion Vocal Pattern Generation. Auto-Motion takes advantage of Auto-Tune's superb pitch-shifting ability to add intricate musical patterns to a vocal performance. Like Auto-Tune 7, Auto-Tune EFX 2's pitch correction works by continuously tracking the pitch of your vocal and comparing it to the notes in a (customizable) scale. The scale note closest to the input pitch is identified as the target note. If your vocal's pitch exactly matches the target note, no correction is applied. If your vocal's pitch varies from the target note, either sharp or flat, the output pitch is smoothly corrected to the target note. Auto-Motion Vocal Pattern Generation is a new effect that adds intricate musical patterns to a vocal performance. Patterns are selected from a built-in (and expandable) library in a variety of styles and can be synced to your host's tempo at various beat divisions. At any point in your vocal track, simply click the Auto-Motion Trigger button to send your vocal on a melodic adventure.